Design led with beautifully thoughtful illustration. Hand-finished with sparkly pink gems. This card is accompanied by a white envelope and is individually cello-wrapped. This card is left blank inside, for your own personal message. 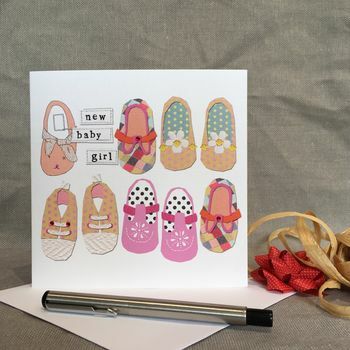 All cards are designed and produced in the UK. All cards are made from 300 gsm FSC accredited, ethically sourced, board. This product is dispatched to you by Stop The Clock Design.